So after I learned about global leather production I began to wonder where leather comes from, and what is behind all the options we have available, the different textures, colors, finishes, and thicknesses. How does it become leather? As I read more and more it began to make sense, the mystery a little more clearly, and thought I’d share some of what I learned. 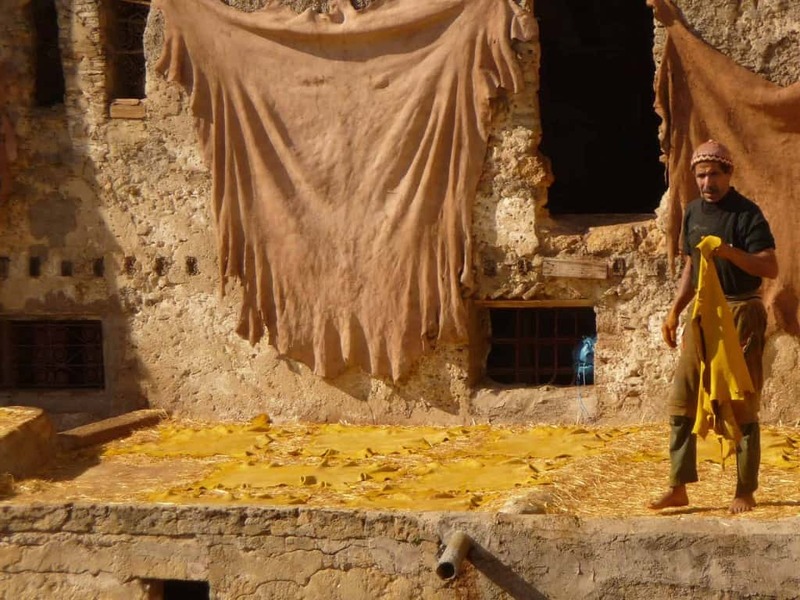 The leather tanning process includes many steps that, depending on the intended final leather type, are used to take a raw hide and process it into a final piece of leather that an be used in making things. Essentially, the tanning processes revolve around treating collagen, the main structural protein found in the animal skin, that turn it into a usable leather material. The leather tanning process can begin once there is an animal identified from which a hide can be used. 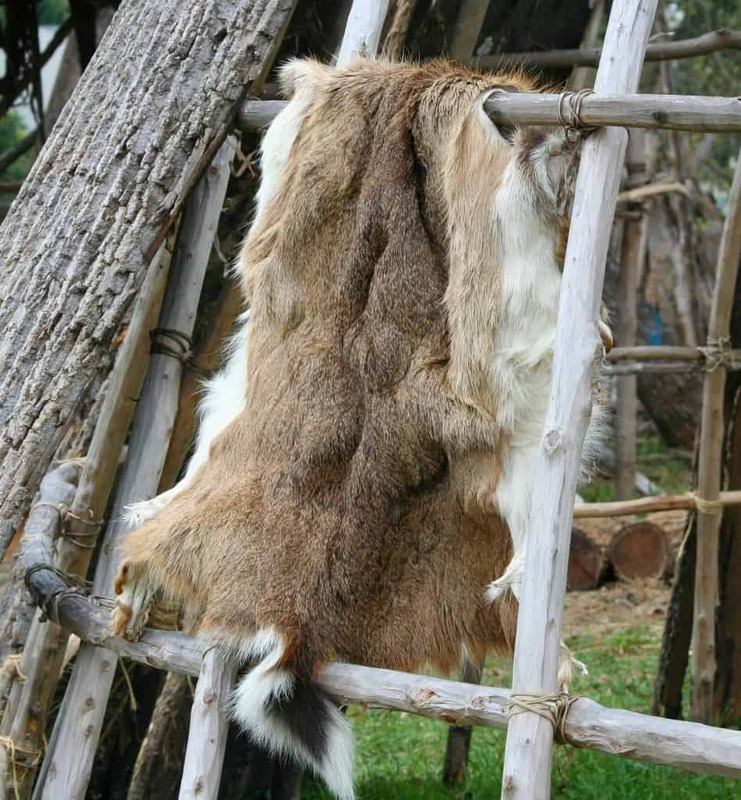 Next, the animal is skinned and the hide cured with salt to help prevent bacterial growth. This is similar to the old stye of salting meats as a preservative. Once cured with salt, the hides lose a lot of water, are resistant to bacterial growth, and become very stiff. They can remain in this state until ready for the production process. Before soaking, the raw hides are salted and very stiff, which as a result helps prevent them from growing bacteria and molding, though they’re also not very usable or pliable in this state. Soaking, done in water, allows the salts to be removed, and moisture from the water enter back into the hide. This allows for further treatment, and pliability. This extra moisture introduces the risk of bacteria growth during soaking, so some chemicals might be added at this step to help inhibit that from happening. At this point, the hide is very wet and ready for the next step in processing. The liming stage introduces steps to help remove a lot of the organic substances that might be part of the hide, that will not be needed later in the processing, or desirable in the final product. In this step, an alkali (salty base that dissolves in water), and mixes of other additives (cyanides, amines, sulfides, etc.) are used to treat the hide and aid in the removal of unnecessary elements such as weakening the hair, additional proteins, fats, collagens, etc. ; essentially anything beyond the preferred and usable hide material. The raw hide is now treated from liming, making the unnecessary parts weakened and more easily removed. Initially, hair can be removed mechanically by machines, rollers, and blades. A second step might be taken using hand tools and scraping/scudding. At this step of the leather tanning process, the PH is brought down to a lower level so that the enzyme agents (the specific agents can be chosen based on the preferred end state, and ultimate use for, the leather) acting on the hide can be more effective, and begin to treat the leather for improved properties such as softness.The processes of softening the leather is called bating. Once bating is complete, pickling begins. This involves treating the hides with salts, then sulfuric acid (when mineral tanning will be done). Pickling lowers the PH of collages in the hide to a very low level, priming the hide for the penetration of the tanning agents to come. Salt is generally preferred to acid, as it penetrates the hide faster, and helps alleviate some negative effects of a sudden drop in PH. This is the oldest known common method, and utilizes tannins (naturally occurring astringents) from plants and bark. In raw hides, the tannins bind to the collagen, covering them. This makes them less susceptible to bacterial growth, makes them less water soluble, and makes them more flexible/pliable. The colors this process produces can vary from yellows to shades of brown and even some reds. Since it is a more natural process, the results can be unique and often quite pleasing. The leather produced from vegetable tanning while softer than a raw hide, is still relatively strong and a bit stiff, making it great for uses in saddlery, luggage, tooling leather, sheaths, and belts. Chrome (chromium) tanning is very popular and efficient. It was introduced around 1858, and due to the properties of chromium, it lends to a soft, thin leather. Different than the tannins used in vegetable tanning, the chromium binds to the collagen in raw hides and even increases the space between proteins in the hide. This allows them to be more stretchable, and resist shrinkage in heated water. The chromium ions are also much smaller than those in tannins, allowing them to penetrate the raw hide at a much faster rate. A chemical bath much more complex than water is needed to soak the hides in, and activate the chromium in such an effective way, though the overall process can take less than one day. 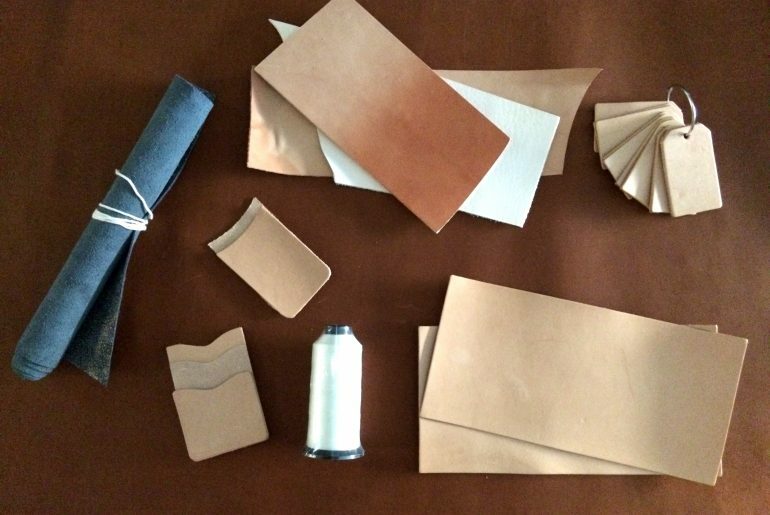 Leather tanned with the chromium method can contain about 4%-5% chromium in the material. In the end this is a much faster process than vegetable tanning, requires less labor, and results in a leather that is softer and stretchier. Each of these produces a leather with slightly different properties. It would depend on the intended end use, material preferences, and cost/time factors as to which of these might be used for any specific tanning run. After tanning, the hides are dried. Generally, this is done either by pressing the leather through large, heavy rollers, to push out the moisture; or, it can be done via vacuum suction through large steel plates, setup in specialized machinery. After drying, the leather is dry and ready to be worked. This cut of leather contains the outer layout of the hide, referred to as the “grain”; it hasn’t been sanded or buffed to remove any imperfections. The grain generally has densely packed fibers that are finer; this results in a surface that is very strong, durable, and can withstand tough use. This makes it good for saddlery, footwear, and furniture. Since the outer layer isn’t removed, it develops a patina (a surface color change from use) over time that can be pleasing to the eye. Full Grain is looked upon as the highest quality leather available. This cut is very similar to full-grain, except that it has had the very top layer sanded and/or buffed to remove imperfections and irregularities in the finish. This makes the leather softer and more pliable, with various dyes and finished applied to it. Given its softness and flexibility, top grain leather is often used in high end leather goods, including handbags, wallets, and shoes. Genuine leather can come from any layer of the hide, and undergoes treatment to the surface to provide a more uniform appearance. It can be sanded or buffed to remove surface imperfections, then dyed (or spray painted) or stamped/embossed to give it a final surface appearance. The process alters some of the preferred qualities of leather, so while not a top quality, it is often used for belts and similar goods. Bonded leather is like the scrapple or hot dogs of leather; it is made up of leather scraps that are finely shredded and bonded together using polyurethane or latex onto a fiber mesh or sheet. 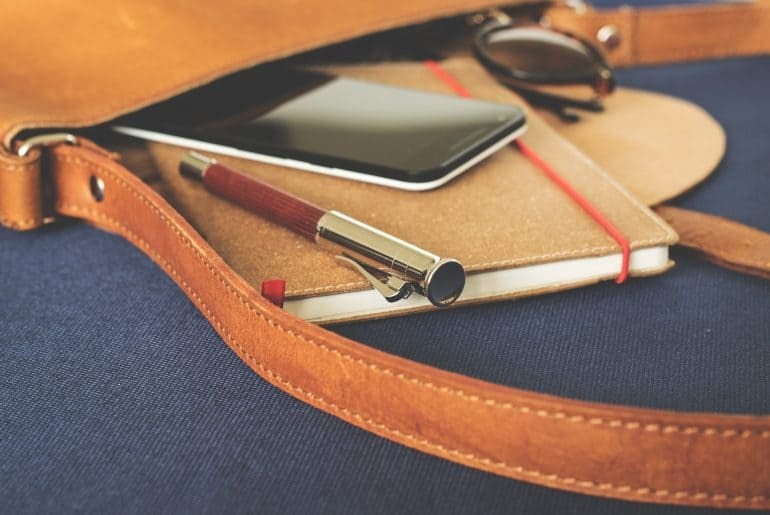 The amount of leather in the actual mix can vary greatly (from 10%-90%), and thus affect the functional and aesthetic properties of the finished product. 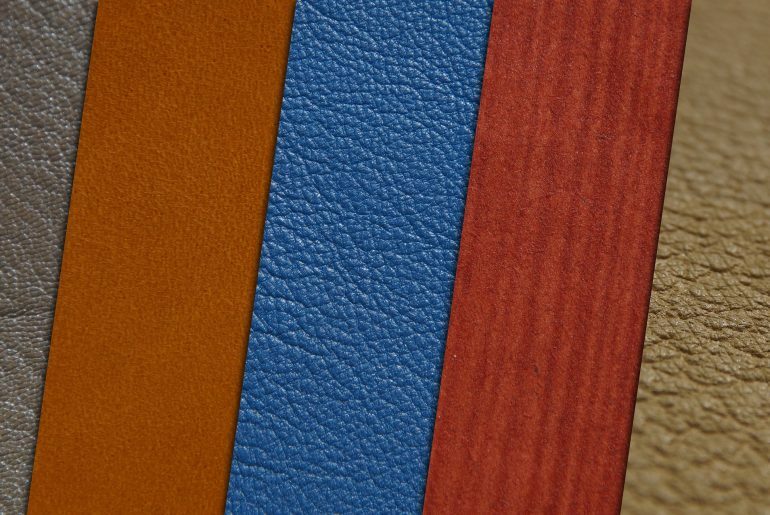 Bonded leather is often painted to give it color and could also be pressed/embossed to give it the appearance of a particular grain or leather style. This step removes any surface imbalances to ensure that the hide has a uniform thickness. To accomplish this, the hide moved through machinery with rollers and blades to ensure a uniform thickness. Dyeing adds color to the leather. Dyes can be water soluble or oil based, where the water soluble dyes generally have better material penetration and go deep into the fibers. Dyeing differs than painting, whereas pertaining applies a top coat of color that does not penetrate into the fibers. With the dye, other materials/conditioners can be added to affect properties of the leather such as softness, flexibility, and leather storage life. 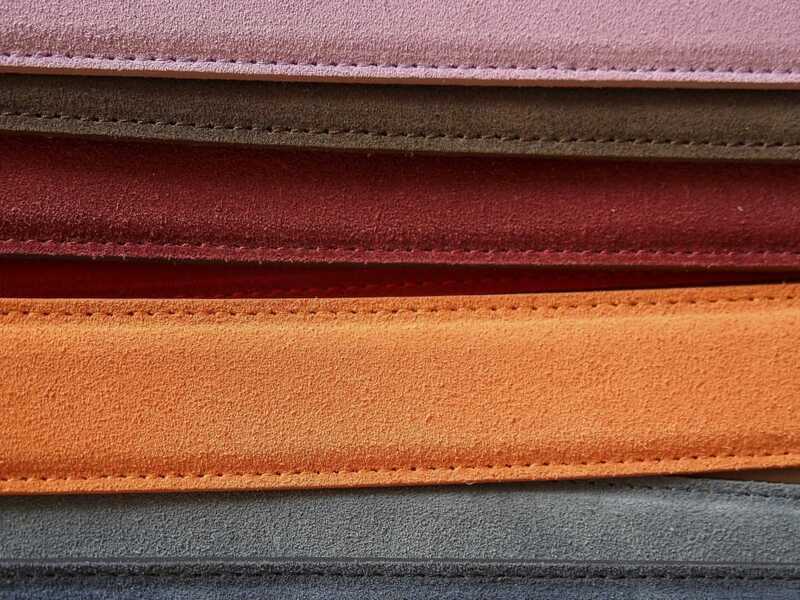 Generally, vegetable tanned leather is not dyed; it’s pleasing appearance come from the natural leather color and tannins used to process it. 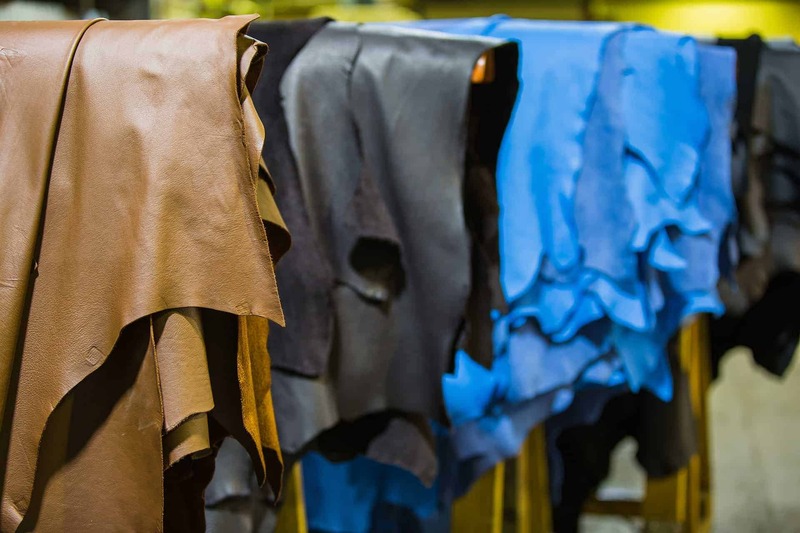 After dyeing, the hides are dried, and generally this is done either by pressing the leather through large, heavy rollers, to push out the moisture; or, it can be done via vacuum suction through large steel plates, setup in specialized machinery. After drying, the dyed leather is ready for finishing. Different surface abrasion techniques are used to apply a finish to the leather. These can include buffing with special paper to help create nubuck/suede finish, or wheels with various materials on them to provide a sheen or shine to the surface of the leather. Large machinery that utilizes rollers or presses can imprint a pattern into the leather, creating a textured or patterned appearance on the surface. At this step or the leather tanning process, any sort of various treatment can be applied to vary the color and appearance of leather; it can be applied via machine process, or by hand. The leather in then cut down to have more finished edges to remove any extraneous pieces or wayward elements. Once graded, the leather hide is measured both to determine how large the hide is, and also its thickness (in oz). After measuring, the finished hide is ready for use. It can be used as is or cut down further for sale in smaller pieces. So there we have, a bit of a deeper dive into the leather tanning process. Whew, a lot of my initial questions were answered, and knowing just a bit more leaves me impressed and with a lot of respect for tanners; the quality of their work directly impacts the finished results of our work and leather crafters. And working with a great piece of tanned leather can be quite enjoyable. Next, I became curious about the different leather types. Have you tanned leather, or have something to share? Leave a comment below.